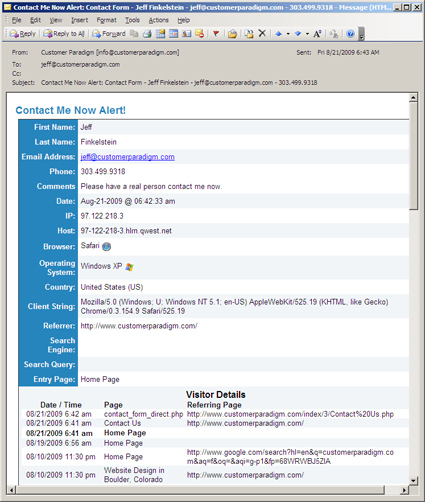 PHP can also be used to send email message from a website. This week’s PHP tip shows how. Confirmation and Alert Emails If you’re like me, you’ve tried to fill out a contact form on a website, only to wonder if it actually got through to the company. One of the things you can use the PHP programming programming language for is to send a confirmation email and alert email from your site. ( For the basics on PHP, please read my earlier article, What is PHP and Why Should I Care?) I hate when I fill out a form on a site, and all it says is “Success!” I don’t have a warm-fuzzy feeling that my information was sent to the website appropriately. 5. Make sure you save all of the contact information to an online database, so that you can follow up with them in the future. How does this work from a technical perspective? 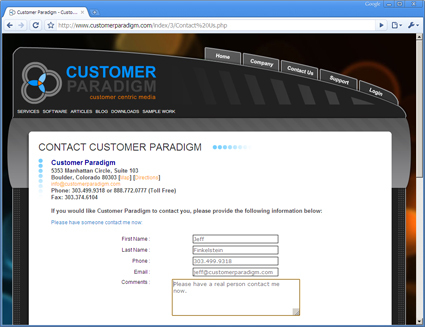 PHP can send an email from a website for someone in three easy steps: Someone fills out a form. 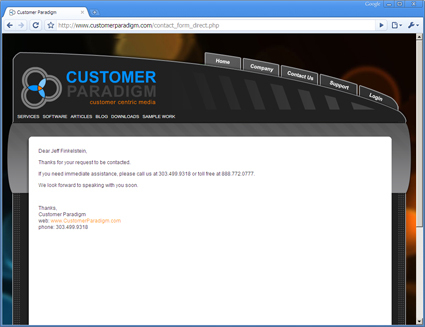 The form submits to a php page, that then displays a success page to the end user. 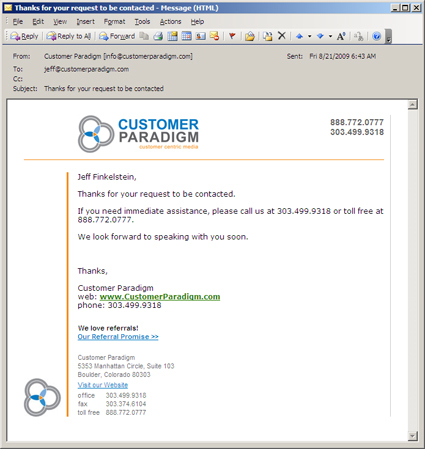 The php form processing page also sends a confirmation email and alert email, usually by connecting to sendmail. Test It Out, $first: To test out how this works, visit our website here >> Why should I bother using PHP to send emails from my website? Sending an email makes people think (right or wrong) that you care about them as a person. It creates trusted interactions that can lead to long term customers.